Moncler soft white polo dress with turquoise detailing and logo print. 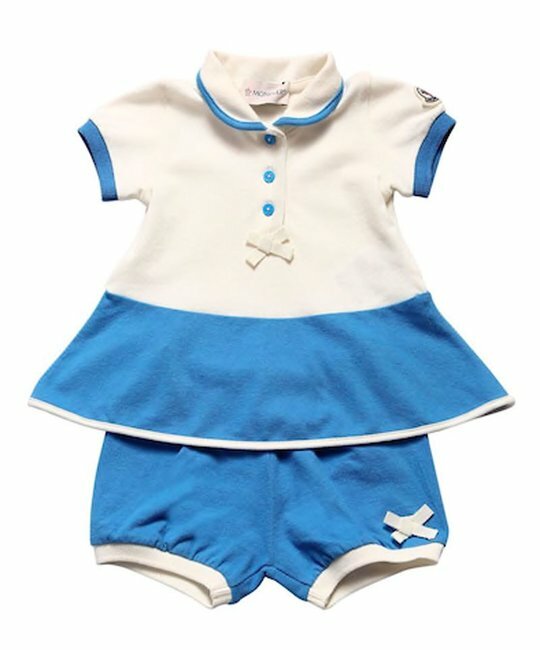 Dress comes with matching turquoise bloomers. 95% Cotton, 5% Elastane. Imported.